The outlook for the 2018 deer hunting season is expected to be good, depending on weather conditions. The best opportunities are in the southwest corner of the state and many of the shoreline towns, especially for bowhunters. With deer hunting season set to begin Saturday, the outlook appears good for hunters. Not so much for the deer. “The outlook is good because mild winters and abundant acorn crops over the past two years have made it easy on deer and challenging for hunters as harvest numbers have been low,” said Andy LaBonte, a Wildlife Division biologist with the state Department of Energy and Environmental Protection. Why does a successful deer-hunting season hinge on acorns? In a nutshell, it’s because acorns are the prime source of food for white-tailed deer in fall and winter. Twenty-four years of data show during years when acorns were abundant, hunter success was low. That’s because with fewer acorns, deer have to travel farther to browse for other foods in fields, orchards and suburban backyards. On average, the acorn crop in Connecticut has been moderate most years, scarce about every five to six years and abundant every four years. Last year in Fairfield County, 1,666 deer were harvested from private land, including 94 from Greenwich’s backcountry. Fairfield County led the state with the highest number of deer harvests by bowhunters. The 2018 fall archery hunting season for deer opens Saturday and extends to the end of December on private lands and state land bow-hunting only areas, and to the end of January on private lands in Deer Management 11 (Fairfield County) and 12 (southeast Connecticut). State lands are also open to firearms hunting, with the archery season running from Sept. 15 to Nov. 13 and from Dec. 19 through the end of the month. And, starting Oct. 1, archery deer hunting will be allowed on private lands on Sundays. 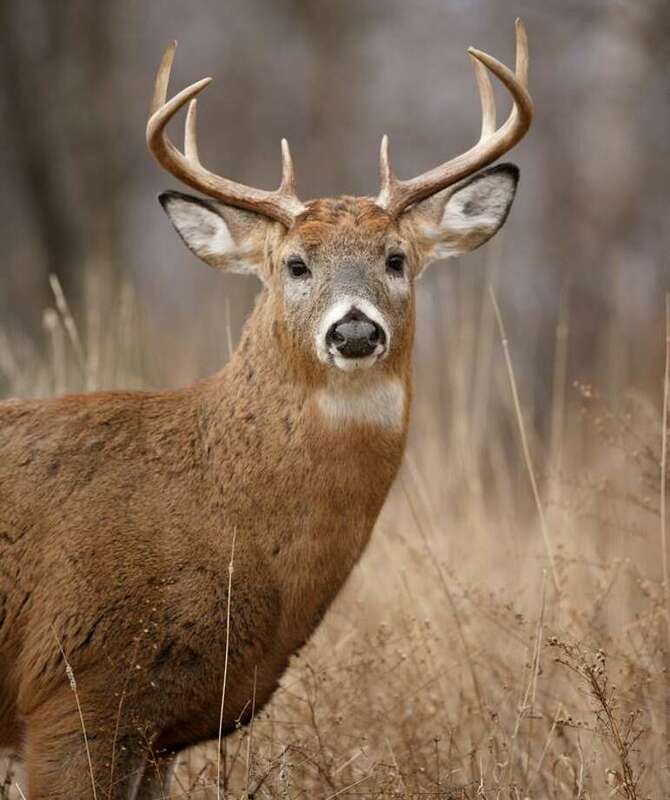 Each year, DEEP compiles an extensive report on the prior hunting season and Connecticut’s deer population — the Connecticut Deer Program Summary. Here’s a look at what DEEP wildlife biologists found from last year’s hunt of Connecticut’s largest game animal. DEEP uses the word “harvested,” instead of killed. Last year’s deer harvest was 12,080 deer or 13.3 percent more than the previous season when 10,662 deer were taken by hunters. For the fifth consecutive year, more deer were taken down by bowhunters than by hunters with shotguns or rifles. Deer harvest totals last year included 294 in Newtown, 197 in Ridgefield, 155 in Easton, 149 in New Milford, 100 in Danbury, 96 in Fairfield, 58 in Stamford, 53 in Torrington and seven in New Haven. The bow harvest totaled 5,910; the shotgun/rifle harvest, 3,529. Last year, 687 deer were killed in collisions with motor vehicles. But the actual number of deer roadkill is likely, much higher. It’s estimated the actual number of road kills in 2017 — most unreported — was 4,122. Nearly 16 percent (106) of deer roadkills were in Fairfield County (Deer Management Zone 11). Permits to hunt deer with shotguns and rifles have been steadily declining for several years. In 2017, archery permits, however, increased to a record high of 17,029. The biggest increase came from permits allowing the use of revolvers to take down deer. “During the eighth year of authorizing the use of revolvers for deer hunting, 853 hunters took advantage of this opportunity, a 5.7 percent from 2016,” according to the deer summary. How many deer are there? The most recent estimate for deer density in Fairfield County is 37.7 per square mile with the highest concentration of deer in north Greenwich and the Newtown/Bethel area. Across Connecticut, bowhunters had a 34.7 percent success rate of bagging a deer, the highest among all deer hunters. The rate was nearly 40 percent in Fairfield County and 33 percent in New Haven County. 2,251 bear sightings in 100 towns in 2017 at a rate of one bear sighting in 27 days spent afield. 3,249 bobcat sightings in 151 towns at a rate of one bobcat sighting per 18.7 days afield. 11,025 coyote sightings in 159 towns at a rate of 5.5 days afield. While not a predator of deer, hunters reported 79 moose sightings in 2017 in 29 towns at a rate of one moose for 458 hunter days afield. Moose were observed in Barkhamsted, Canaan, Canton, Colebrook, Goshen, Granby, Hartland, Kent, Norfolk, Salisbury, Stafford and Union for six of the last 10 years. By special legislation, the town of Westport has prohibited hunting within town borders. No person shall engage in hunting while under the influence of intoxicating liquor or any drug, or both. Hunting or shooting from or across the traveled portion of any public roadway is prohibited. Shooting toward any person, building or domestic animal when within range is prohibited. All private land archery hunters are required to carry a DEEP consent form signed by the landowner and dated for the current season.